Thrift Thick: Maybelline Dream Pure BB: First Impression + Review! Maybelline Dream Pure BB: First Impression + Review! Your happy dance while playing with your fan literally made me laugh out loud. I haven't had much luck with Maybelline BB creams, or BB creams in general now that I think of it, but glad it worked out for you (aside from the crusty bits). Yayyyy glad to have made you laugh Meghan!! :D And yeah, American BB Creams really aren't anything to get excited about in my opinion… they're nice to cut with foundations though so I like them for that/what they're worth! You're too cute - I could watch you fangirl for a whole video (in a completely non-creepy way) I'm glad you're feeling better too, pneumonia is NASTY. My dad was in hospital for a week last summer because of it ugh! 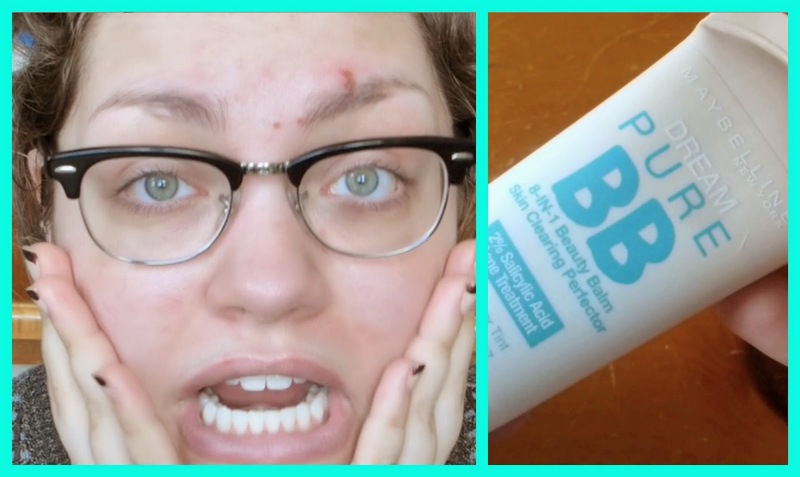 I've been using the original Maybelline BB cream a lot on good skin days, but it looks totally gross on scabby bits too! NOTD: essie "go ginza" + "shine of the times"
mally Volumizing Mascara: Swatches + Review!